Issue 8 has the fabulous Ukulele Uff Trio on the cover… and they’re inside too, with a fascinating interview on how three lads from Merseyside ended up being a top ukulele live act playing early jazz and Hawaiian classics. Also interviewed are Francesco Alberterazzi, Barada Street and in the latest in our Ukulele Orchestra of Great Britain series, Richie Williams answers our questions. We’ve also got interesting articles this time around for those in ukulele groups, with a roundup of ideas for improving and developing your club sessions. 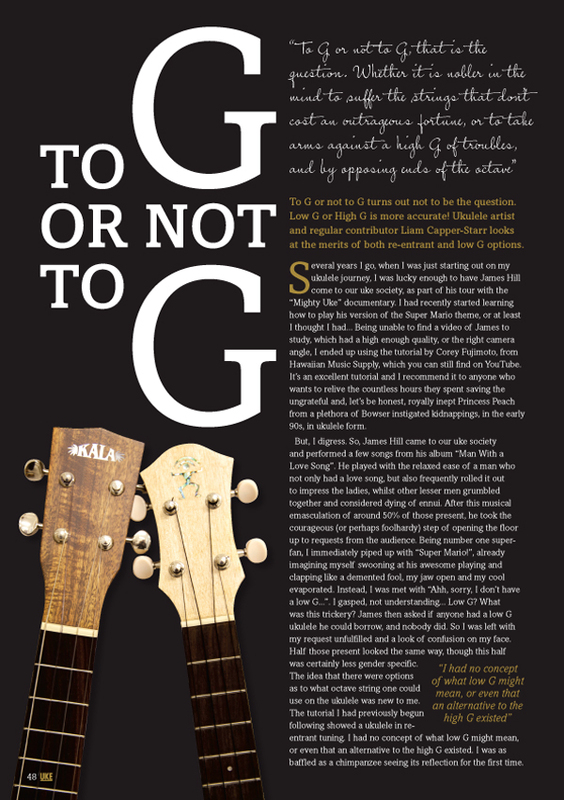 There’s also a ukulele lesson from Phil Doleman, classical song to learn with Sam Muir and a discussion on the merits of low G (or not low G), from Liam Capper-Starr. We also review a series of aNueNue ukes, finding out just how good Asian-made instruments can be. 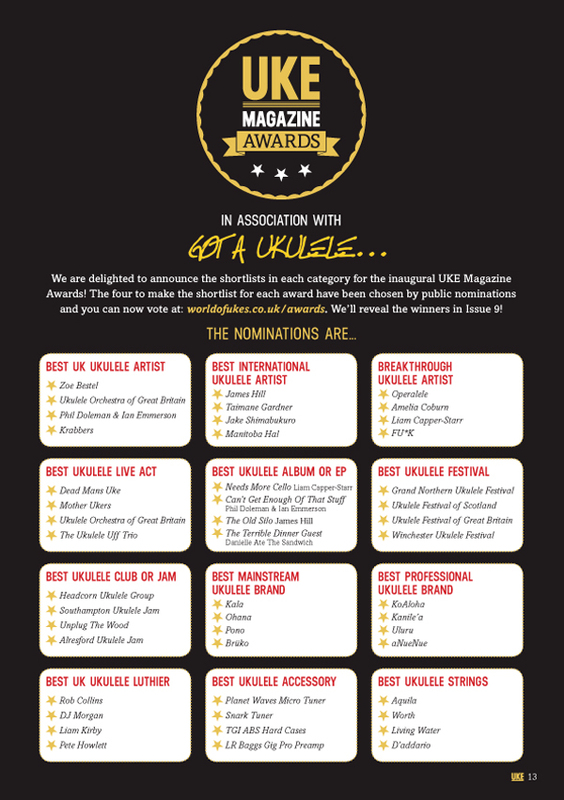 The travelling Bruko heads off to China, we learn about Tessie O’Shea’s ukulele and we reveal the shortlists for our inaugural UKE Magazine Awards. All of this and lots (seriously, LOTS) more! 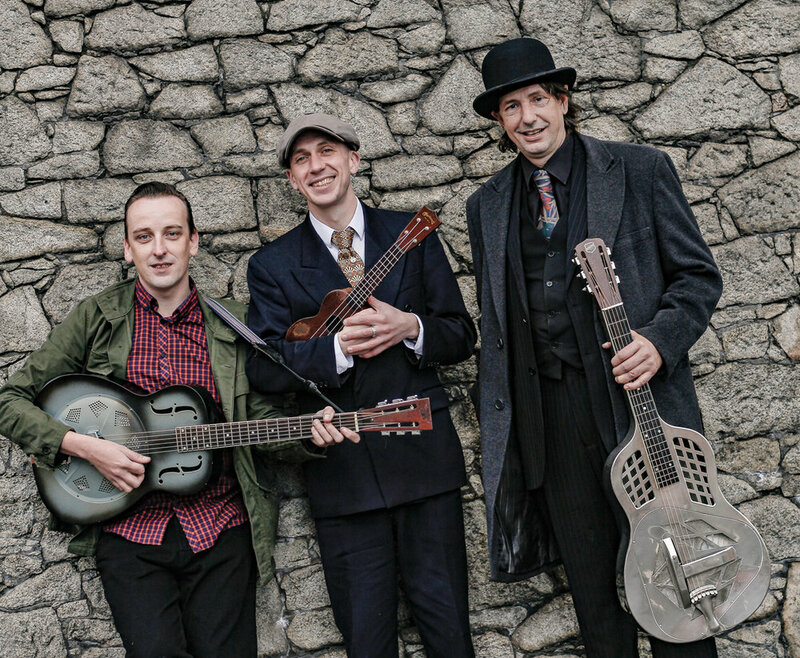 The three lads from Merseyside talk about their music, their upcoming album, their international travels and the interesting tale of how Chris “Ukulele Uff” Hough got his vintage Martin soprano. The Italian performer, teacher and documentary presenter on his journey from guitar to ukulele. 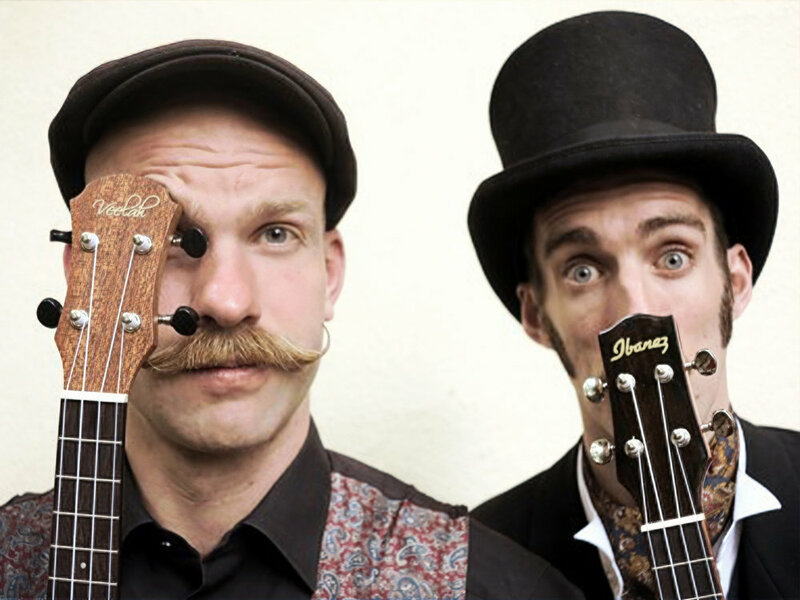 The madcap antics of a gangly Englishman and a strongman from Kyrgyzstan, perhaps the unlikeliest ukulele duo to hit festivals this year! Our series of interviews with members of the Ukulele Orchestra continues with the baritone playing and frankly quite lovable, Richie Williams. How Andy Eastwood became the proud owner of Tessie O’Shea’s Gibson UB3 Banjolele.